Veteran Tahesia Harrigan-Scott, a 2008 bronze medalist, is in her fourth championships and will contest the 60m dash will be joined by Ashley Kelly, who will see action in the 400m. The 15th edition will be held in Portland, Oregon, March 15-17. Kelly will see action on Friday and Harrigan-Scott get into the blocks on Saturday. She’s taking a 7.20 seconds season’s best into the meet and said her competitions this year have been really spread out unlike in past World Championships, where she raced consistently indoors. This time around, she has four competitions under her belt. 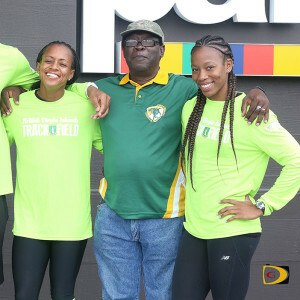 Kelly has run personal best over 60, 200 and 400m this season and said with no school to concentrate on and she has been getting adequate rest and meet her different Doctor’s appointments.